Many commonly prescribed antidepressants work by keeping the neurotransmitter serotonin circulating in the brain. Numerous herbs also increase the availability of serotonin in the brain. Because if this, these group of herbs is routinely prescribed as a natural depression remedy by doctors in Europe before pharmaceutical drugs. Herbal Medicine can be practiced alone or in conjunction with other modalities, such as psychotherapy, nutritional therapy, and even pharmacological medications. 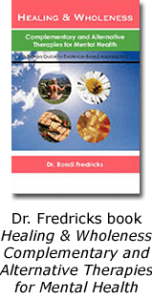 As a Certified Clinical Herbalist, I have a wide variety of knowledge about herbs, their history, usages, and contraindications. In my training, I learned about the history of herbology and different systems of holistic thinking — European/folk, Oriental, Ayurvedic, Hebrew, Christian, Pythagorean, American Indian, United States, Scientific, Biochemical, Intuitive, Clinical, and Medical Herbology systems — I am able to practice a highly effective, integrated method of herbal medicine that combines the clinical and scientific method with the traditional, holistic, and energetic approaches. Many psychotherapists understand the value of herbs. In the United States, the most well-known psychotherapist and herbalist is probably Stephen Harrod Buhner, award-winning author of over 10 books on herbal medicine, including Plant Spirit Healing, Sacred Plant Medicine, and The Lost Language of Plants. During my education and experience with herbal medicine, I have learned the uses for more than 300 Eastern and Western herbs, including traditional folk uses of each herb plus modern scientific research documenting their therapeutic effectiveness and safety, and any potential side effects, contraindications, or drug interactions. 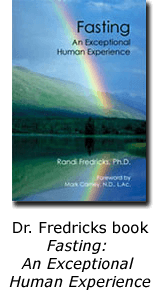 A large portion of my 630 page book, Healing & Wholeness: Complementary and Alternative Therapies for Mental Health is devoted to discussing the use of natural remedies for depression. The practice of herbal medicine goes by many different names. Sometimes called herbology, botanical medicine or herbalism; in Europe, it’s referred to as phytotherapy. The therapeutic use of herbs is a practice that relies on the synergistic and curative properties of plants for their therapeutic or medicinal value. 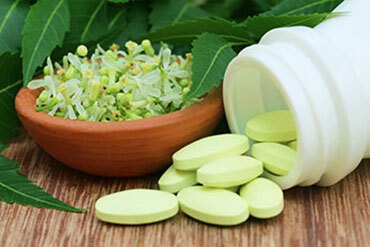 Phytodrugs are mixtures of compounds extracted from one or more plants. Many phytoremedies have a wide range of benefits without the undesirable side effects of pharmaceutical drugs, and are therefore appropriate for long term use with chronic illnesses. For example, plant extracts from hypericum perforatum (commonly called St John’s wort) are routinely used for treating mild to moderately severe depressive disorders. 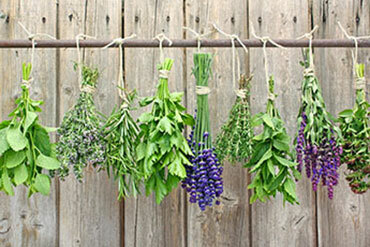 The art of prescribing herbal medicine is difficult to learn in a scholastic setting. The study of herbs and their uses takes dedication and practice. Because herbs are powerful interactive substances, they should always be taken under the guidance of a qualified health practitioner. Additionally, I always advise consulting with your doctor and/or psychiatrist before using any herbal medicine, even over the counter preparations. I recommend consulting with your doctor before making any changes in your health regimen. Additionally, I often refer clients to other practitioners, such as medical doctors, psychiatrists, and other health professionals. I was fortunate to receive my training and certification in Clinical Herbology from the Natural Healing Institute in San Diego, California. My training and educational experience taught me how useful herbal medicine can be for mental health. I often refer clients who are interested in herbal medicine to other herbalists who specialize in specific areas of herbology, such as Traditional Chinese Medicine. By doing this, my clients always receive the best possible care.